Learn more about Karen Gadd's story below. …and started learning with Yousician. Since then, she’s joined Burning Codes, played live shows, and appeared on TV and radio interviews. She just launched her first album. This is her story. 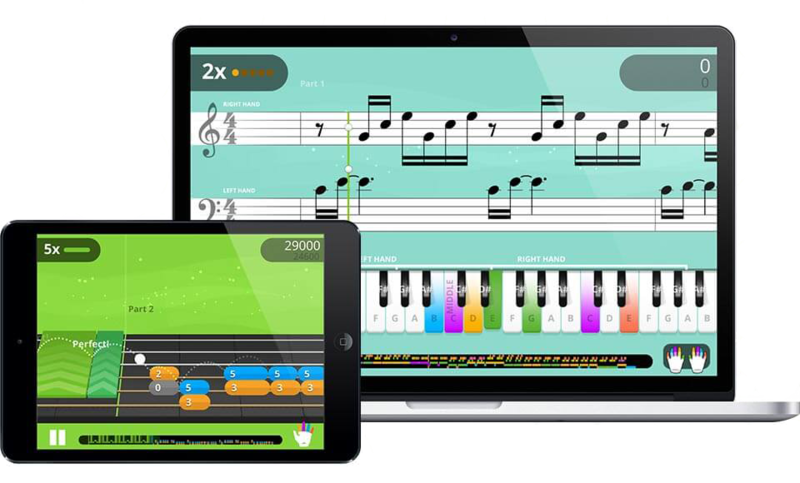 Instant, personalized feedback & progress tracking as you learn to play your instrument. Over 1,500 missions & exercises + hundreds of videos covering the skills you need. Lessons for sight reading sheet music, perfecting chords and melodies, and important technical skills like scales & combining hands on piano, or strumming, fingerpicking & fretting on guitar. Special workouts for music theory, ear training, and each skill & chord. Weekly Challenges where you can compete with friends and millions of Yousicians worldwide.